Build up giving you the hair care blues? Itchy scalp? Drab hair? 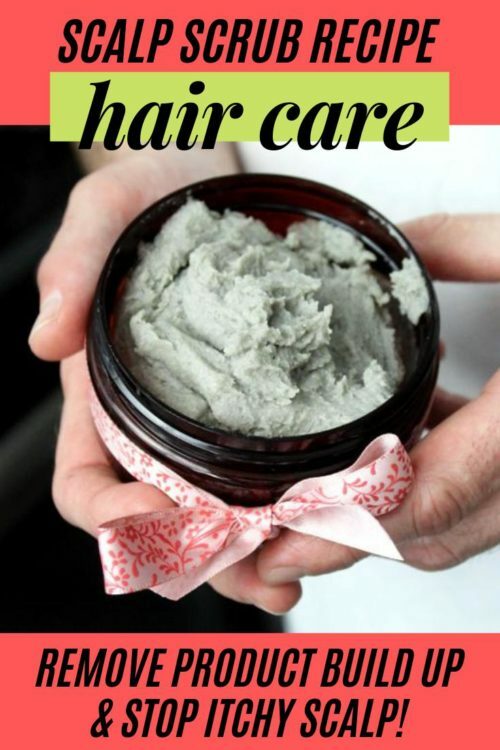 Give this natural exfoliating scalp scrub recipe with bentonite clay a try! Not only does it remove product buildup on your scalp, it also promotes scalp health and can ease itching and hair fall out. Formulating a scalp scrub recipe. I recently mentioned on instagram last week that I was working on a scalp scrub recipe. Having heard others rave, I ventured into developing my own recipe. After first trying a commercial scalp scrub, I came away with doubts. I kept finding grit from the exfoliants in my hair afterwards throughout the course of the day. It wasn’t fun. And I really did (cross my heart) shampoo my hair after using the scrub. Twice in fact. For my next attempt I tried a homemade scalp scrub recipe from the internet. It consisted primarily of oil and salt. That scalp scrub recipe was a bigger fail than the first. As my hair is normal to oily, I ended up with greasy hair that just looked dirty. Not even dry shampoo could resurrect that disaster. I literally washed my hair three times and still couldn’t get all the oil out. So I worked on creating my own version of a deep cleansing scalp scrub recipe. My first attempt left my hair greasy feeling. Much like the simple scalp scrub recipe I’d previously tried. The second version was better. It worked fine on Greg’s dry hair without any issue. However, it was still a bit much for my hair type. It did make a really sweet body scrub though. The kind that feels like you just put on lotion. My initial thought was to use cera bellina wax for sort of a suspension base. As cera bellina forms a gel when combined with carrier oils, my thinking was it would support the addition and equal distribution of both the salt and bentonite clay in my recipe. I was also hoping it would give my scalp scrub recipe more slip. Unfortunately, the wax made the end product feel heavy. It also made it harder to rinse out. Which in end defeated the purpose of removing product build up. Therefore, on my second attempt, I added witch hazel and an emulsifying wax to try to counteract this. I kept the cera bellina wax. I also used a bit of foaming bath butter to give it a bit of cleansing power. Unfortunately, it still did not favor normal to oily hair. So I scrapped the cera bellina wax completely on my third attempt as it really was too heavy for healthy hair. Regardless of my lack of success, I will leave you with more than simply my admission of failure. Instead I’m sharing two recipes with you. The first is my second attempt at an exfoliating scalp scrub recipe. It’s a great starting point for a salt scrub. And who knows? If you have dry hair you may just dig it for its original intended purpose. I’m also sharing a simple, single use (wax free) scalp scrub recipe. It does basically the same thing I was trying to achieve, but without complicated ingredients or emulsions to contend with. Keep in mind that as these recipes call for bentonite clay. Therefore you should refrain from using metal utensils and equipment as these deactivate the wonderful detox properties of the clay. I have a full on grocery list of ingredients for this recipe. So I won’t feel bad if you don’t try it. However some of the habitual makers out there probably have everything on hand. In which case you may find you enjoy the thrill of the experiment. You will need to weigh out all the ingredients for this salt body/scalp scrub recipe. Weigh out the sea salt and bentonite clay first. Combine in a medium to large glass bowl. Mix to combine then set aside. Next, weigh out the carrier oils. Then combine the carrier oils with both the cera bellina wax and emulsifying wax in double boiler. Heat until all the ingredients have melted. Then stir in the foaming bath butter until melted. Remove both from heat then pour the witch hazel into the carrier oil and wax mixture. Add the essential oils then mix with an immersion blender or hand mixture for two minutes. Allow the salt scrub to cool then add your preservative of choice per manufacturer’s recommendations at or below the recommended temperature. (Keep in mind that most preservatives are heat sensitive.) Mix again. Once the salt scrub starts to thicken, mix in the sea salt and clay mixture. 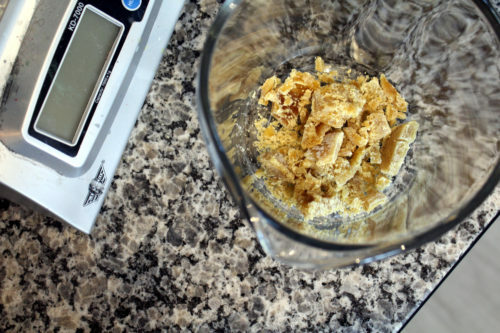 Mix well to ensure all the ingredients are thorough incorporated, then pour into a 4 oz. jar. To use as a scalp scrub for dry hair, massage onto wet scalp and massage in with your fingertips. Follow with a clarifying shampoo and conditioner. Alternately, you can use this formulation as a body scrub. Simply massage onto wet skin in the shower in a circular motion. Then rinse off. Your skin will feel like you’ve just put on lotion! Measure out the sea salt, clay and citric acid. Then combine in a small glass bowl. 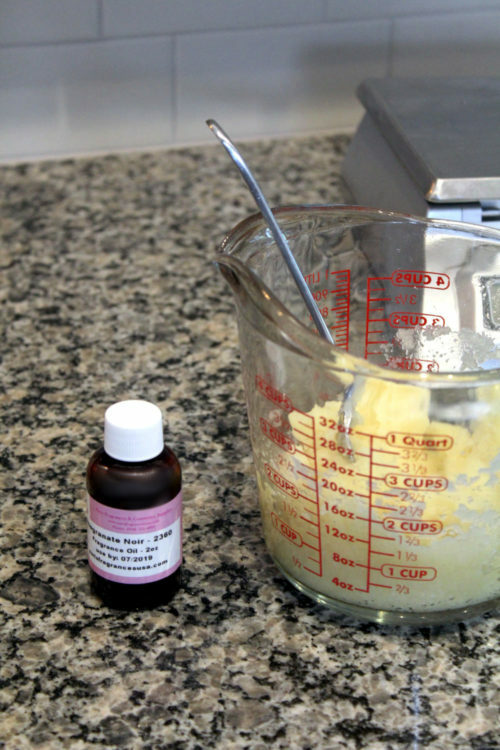 Add the essential oils, then enough aloe vera gel or witch hazel to form a thin paste. Massage onto your wet scalp using your fingertips for 1 to 2 minutes. Then wash and condition your hair with a clarifying shampoo. Explore more hair care recipes. Not quite sure about the whole scalp scrub thing? You can also make an apple cider vinegar rinse to remove build up on your hair and scalp. My yerba mate hair rinse recipe with apple cider vinegar not only removes product build up, it also helps to strengthen hair and improve luster. You can learn how to make it here. 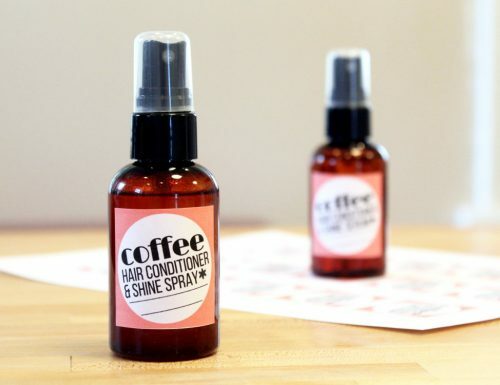 Alternately, if you have coarse, curly or dry hair, then you’ll love my coffee shine spray recipe. You can find two versions of this recipe – one with and one without silicone – here. Or try my favorite essential oil hair mask recipe with aloe here. To discover more homemade hair care recipes, be sure to follow my DIY Bath & Body board on Pinterest here. You can also find and follow me across your favorite social media platforms including Blog Lovin‘, facebook, twitter and instagram so you never miss a post. Or simply sign up for my semi-weekly newsletter. I love sugar scrubs. Not only do they exfoliate to remove dead skin cells and promote smooth, glowing skin, they’re also incredibly easy to make. A gentler alternative to sea salt scrubs, this best natural sugar scrub recipe with murumuru butter is formulated to moisturize dry, maturing and eczema prone skin. 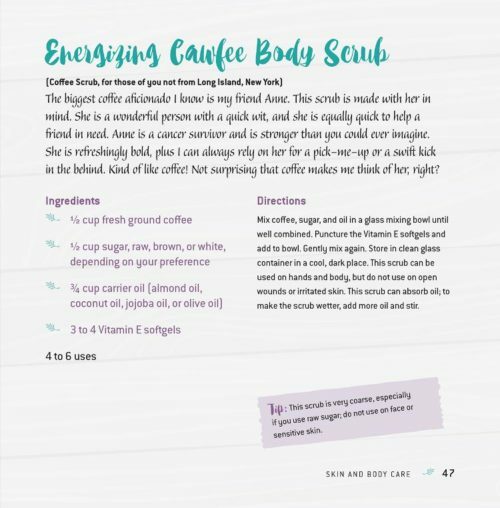 Rather than use a fragrance oil for this sugar scrub recipe, I chose to scent mine with essential oils to keep this product entirely natural. With a variety essential oil blends on the market to choose from, including a fall inspired pumpkin spice essential oil blend, you can create, use and gift this best natural sugar scrub recipe year round. 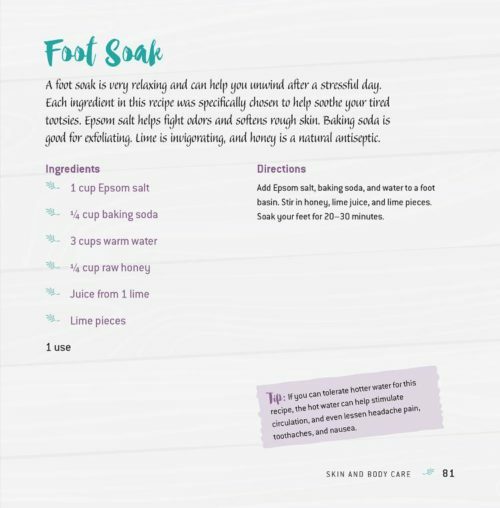 As I have fibromyalgia, my favorite essential oil blend to use in my natural sugar scrub recipe is Spark Naturals Amend +. This potent warming essential oil blend is the perfect choice for athletes or for anyone suffering from acute muscle or joint pain. Formulated using a blend of Birch, Rosemary, Marjoram, Frankincense, Black Pepper, Peppermint, Basil, Cedarwood, Lavender, Eucalyptus, Roman Chamomile, and Sandalwood, this natural proprietary essential oil blend supports muscle and joint pain relief. I’ve also been experimenting a lot lately with natural products and exotic ingredients from the Brazilian Amazon forest. 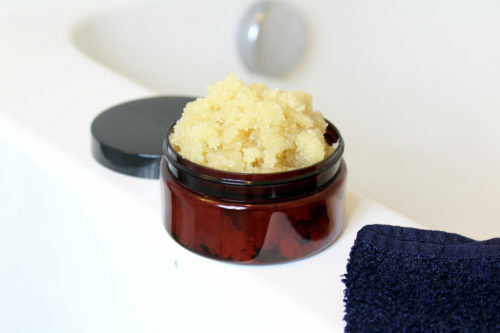 Therefore, I chose to incorporate one such ingredient into this natural sugar scrub recipe. And for good reason. The quality and skin care benefits of these sustainably source ingredients has just been amazing. So, as it was when I first fell into soapmaking, I have become addicted to these new found beauty butters and carrier oils. 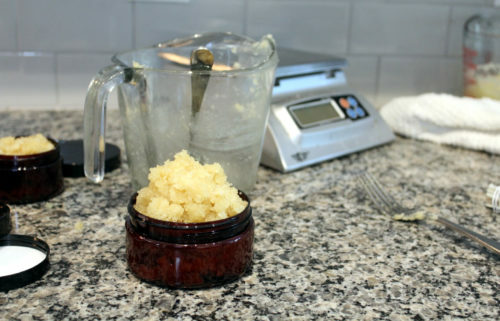 For this particular natural sugar scrub recipe, I chose to use murumuru butter. Murumuru is a funny little word. It’s also a very hairy tree! The Astrocaryum murumuru tree is a palm tree native to the Amazon rainforest in Brazil. One of the most dominant trees in the region, the murumuru tree yields nutritious edible fruits essential to the local food economy. In addition, the seeds and the wood from these trees also play an important economic role. Hammocks are constructed from the fibers of the murumuru tree, while the seed pods are used to make naturally colored black rings. The seeds themselves yield highly emollient and moisturizing murumuru butter which is commonly used to soften and protect hair. Mumumuru butter is naturally glossy. It’s also film-forming. This gives this butter the ability to protect both skin and hair in a similar way as silicone. It is rich in lauric, myristic, and oleic acids, which makes murumuru butter less prone to rancidity. While this butter not only nourishes and strengthens hair, it also helps to maintain curls. As murumuru butter won’t clog pores, it’s also wonderful option for dry skin. Due to its amazing beauty benefits, murumuru butter is commonly found in commercial creams, lipsticks, soaps and deodorants at a usage rate of up to 8%. 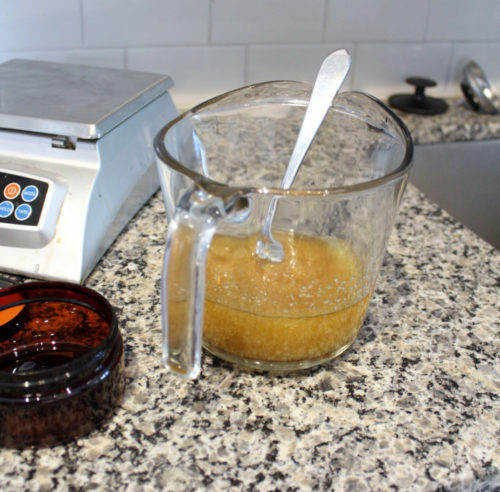 You’ll need a digital scale to weigh out the ingredients for this natural sugar scrub recipe. Begin by weighing out the murumuru butter, virgin coconut oil and emulsifying wax. Combine the ingredients in a double boiler, then gently heat until melted. Stir to combine. Then remove from heat. While the murumuru butter, coconut oil and emulsifying wax are melting, weigh out the granulated sugar. Set aside. Allow the melted butter, oil and wax mixture to cool slightly. Then using a graduated transfer pipette, add 2 mL of your preferred essential oil, or essential oil blend, to the liquid ingredients. (Keep reading for easy essential oil blend recipes to try!) Stir well to combine. Now combine the liquid ingredients for this natural sugar scrub recipe with the dry sugar. Using a fork, mix the wet and dry ingredients together until all of the sugar is evenly coated. Then spoon the sugar scrub evenly into thick walled PET amber jars of your choice. (I sourced my jars from SKS Bottle & Packaging here.) This natural sugar scrub recipe with murumuru butter yields enough product to fill the equivalent of three 4 oz. jars. For fall I love this natural pumpkin essential oil blend. Or, if you prefer to create your own pumpkin spice essential oil blend, simply combine 2 parts cinnamon essential oil, 2 parts ginger essential oil, 2 parts nutmeg essential oil, 1.5 parts clove essential oil and .5 parts cardamom essential oil. In the winter, I enjoy using straight peppermint essential oil. However you can also blend equal parts spearmint and peppermint essential oils for a refreshing winter mint blend. Or, easy essential oil blends for spring or summer include equal parts lavender and peppermint, equal parts lavender and lemon essential oils or equal parts lemongrass and peppermint essential oils. I also really love blending equal parts of lemongrass and basil essential oils as well as equal parts patchouli and peppermint. If you’re new to essential oils, an easy way to get started is with the book, Essential Oils Natural Remedies: The Complete A-Z Reference of Essential Oils for Health and Healing. 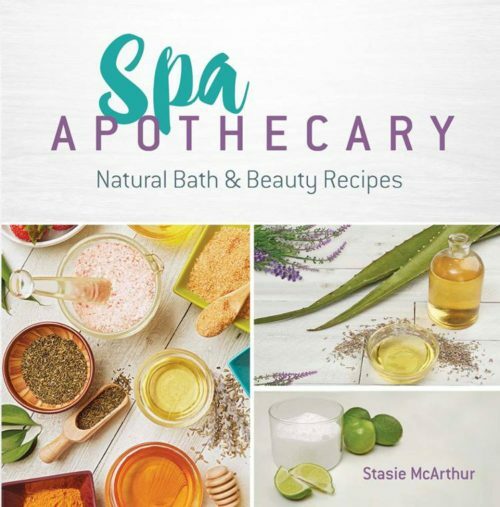 Or try the book, Aromatherapy for Beginners: The Complete Guide to Getting Started with Essential Oils, for over 150 essential oil recipe ideas and blends. If you prefer a fragrance oil over using essential oils, the pomegranate noir fragrance oil from Paris Fragrances is a great scent choice as it complements the natural fragrance of the unrefined virgin coconut oil. Simply use up to .15 oz. 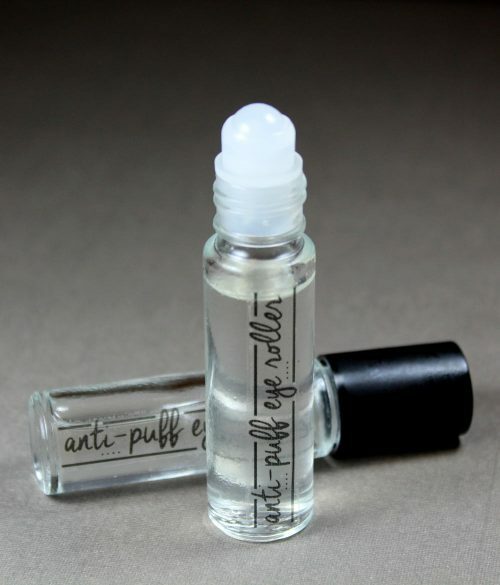 of this fragrance oil by weight in lieu of the 2 mL of essential oil called for in my natural sugar scrub recipe. If you enjoyed my natural sugar scrub recipe with murumuru butter, then be sure to check out these other natural skin care recipes that use exotic butters as key ingredients. If you’re interested in purchasing handmade skin care products online, be sure to shop from my curated collections of natural makeup, beauty and skin care as well as natural home remedies on Etsy. I’m particularly impressed with the new Amazon Rainforest Collection of natural skin care products from Angelina’s Naturals. 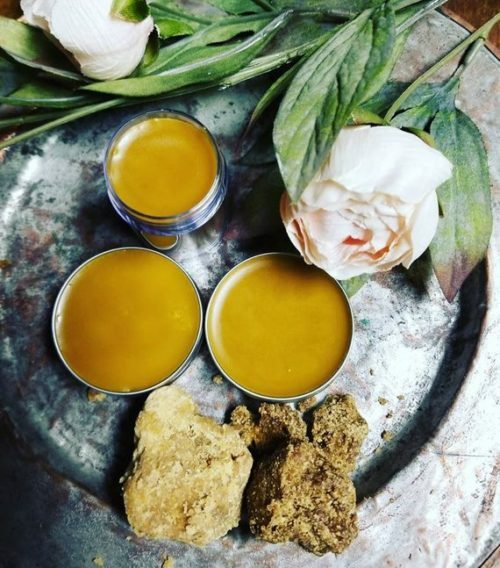 Her Everything Salve for Hives & Bug Bites is carefully crafted with a combination of bacuri and ucuuba butters along with a several other prized butters and carrier oils. I also like this handmade, natural leave-in murumuru hair conditioner from Naturista Skin Care. If you’d like to receive notification of new articles from Soap Deli News blog, be sure to follow me across all of your favorite social media platforms. You can find me on G+, Pinterest, Facebook, Twitter, Blog Lovin’ and Instagram. Or, alternately, you can also subscribe to Soap Deli News via email for future updates, DIY projects and recipes. Kick Your Severely Dry Skin (And Eczema!) to the Curb with Ucuuba Butter! This post is sponsored by Paris Fragrances. All opinions are my own. This homemade ucuuba butter salt scrub recipe is a natural holistic solution to dry, itchy skin and eczema. 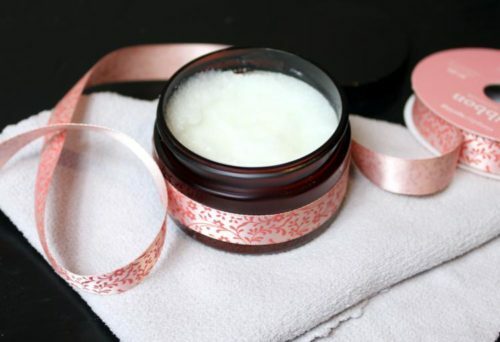 Learn what makes this winter skin care recipe so special and how to craft your own. Cold weather is on the way. And typically, that means you can expect dry skin in your near future. However, if you already suffer from dry skin, or if you have eczema, winter can seem a little unbearable. There’s nothing worse than fighting with your skin and not being to find a product that brings relief. If this scenario seems familiar to you, don’t worry. There is a way to save your skin this winter. All you need are a few simple ingredients from Paris Fragrances. 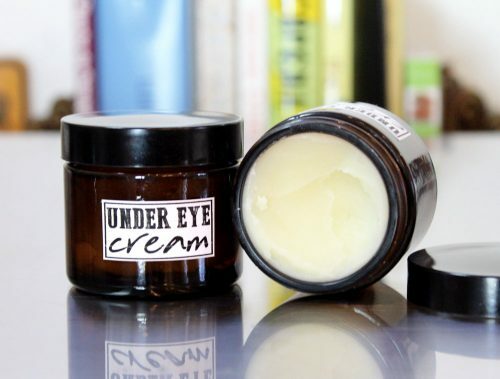 Ever Feel Like Your Moisturizer Is Irritating Your Dry, Itchy Skin Even More? I’m one of those people that loathes putting on lotion. Often times, when my skin is especially dry, it feels like I’m applying lotion every hour. While it’s amazing when first applied, a short time later I’m wondering if it’s actually making my skin’s condition worse. So I’m always particular about knowing exactly what I’m putting on my skin – and especially what the ingredients are. Ingredients matter. And it’s not just the ingredients that you find in a product. It’s also about the ingredients NOT in a product. That’s part of the reason I prefer making my own natural skin care products. Not only is it easy to keep my own products simple, I often find that they are also more effective than store bought brands. Plus, because I know exactly what’s going into my skin care recipes, I don’t have to worry about being surprised by an allergy to a product. My homemade ucuuba butter salt scrub recipe is the perfect skin care solution for winter. This multi-use product works like an in-shower moisturizer as well as a gentle body scrub. However, it can also be used as a conditioning salt bath in warm bath water. Using this ucuuba butter salt scrub in your shower locks in the moisture from the water while your pores are open. So skin feels moisturized longer. And it also feels protected against the elements. Ucuuba butter is an exotic butter native to Central and South America. 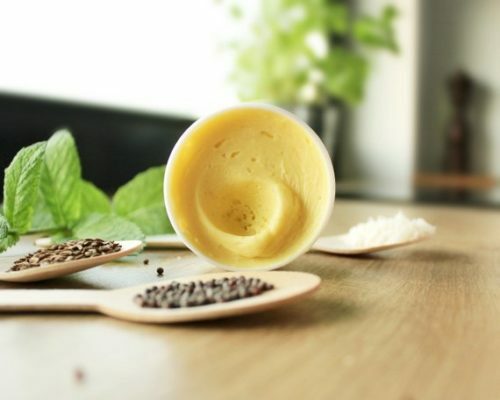 Like other exotic body butters, ucuuba butter is cold pressed from the seeds of the tree its sourced from. In this case, that would be the Ucuuba tree. As the seeds of the ucuuba tree are rich in fats, extracts of the oil is often as high as 50% of the weight of the dry seeds. The ucuuba tree is a fast growing tree found in the Brazilian Amazon Forest. As these trees can grow as much as ten feet over the course of just two years, it makes ucuuba butter a highly sustainable product. The natural unrefined butter from this tree’s seeds is typically yellow to brown in color and has a natural odor reminiscent of nutmeg. Like cocoa butter, ucuuba butter is solid at room temperature. However it has a somewhat higher melting point of 127°F, whereas cocoa butter melts between 93°-100°F. Similarly to cocoa butter, ucuuba makes a wonderful addition to homemade soaps, hair care products and skin care recipes. Skin Care Benefits of Ucuuba Butter. Ucuuba butter has natural anti-inflammatory and antiseptic properties. 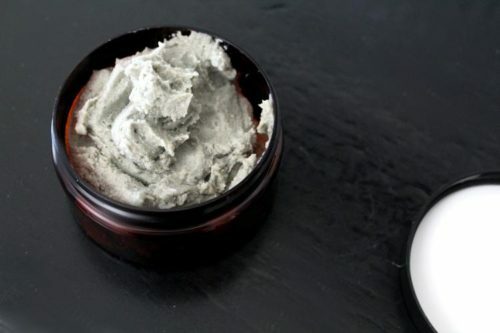 This makes it an ideal addition to skin care recipes formulated for dry skin, acne and eczema. Additionally, this natural butter is also rich in essential fatty acids that can help to replenish and moisturize dry or maturing skin. It also contains both vitamin C and vitamin A (retinol) commonly found in natural anti-aging products. These proponents can help to reduce the visible signs of aging as well as replenish and reverse skin damage. I used ingredients from Paris Fragrances to craft my homemade ucuuba butter salt scrub recipe. Paris Fragrances offers quality products with great prices. As a partner with HSCG, Paris Fragrances works with ethical suppliers to help create a sustainable and environmentally friendly economy with the communities living in the Amazon Forest. Additionally, Paris Fragrances is also a member of The Handcrafted Soap and Cosmetics Guild. All of the products from Paris Fragrances are imported from Europe and South America, with emphasis on exotic Brazilian fragrances. The oils and butters, which are sustainably sourced from the Brazilian Amazon Forest, are cold pressed and left unrefined so they retain their natural benefits when use in skin care formulations. About My Ucuuba Butter Salt Scrub Recipe. I’ll be honest. If you are one of those people that likes exiting your shower squeaky clean, my homemade ucuuba butter salt scrub recipe is probably not going to be your cup of tea. 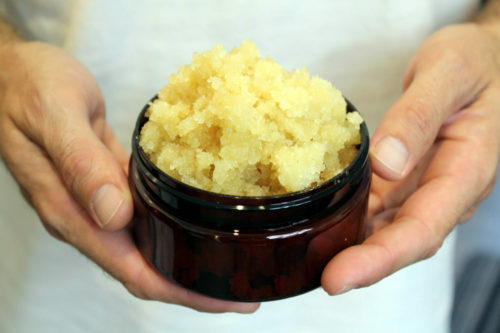 While this homemade scrub is similar in ways to most salt scrubs, it’s also very different. Rather than using sea salt for my homemade ucubba butter salt scrub recipe, I use Dead Sea salt instead. A luxury cosmetic salt, Dead Sea salt is extracted from the marshes of the Dead Sea then solar dried. Its fine grain and moisture content make it especially suited for bath salt and body scrub recipes. Considered to be the best therapeutic salts available, Dead Sea salt is rich in natural minerals that include magnesium, potassium, sulfur and calcium. These minerals work to help improve blood circulation as well as cleanse, disinfect and exfoliate skin. As a home remedy, Dead Sea salt has shown to benefit those who suffer from a variety of skin ailments including acne, eczema and psoriasis as well as dry, itchy skin and atopic dermatitis. Unlike traditional sea salt, such as the type of salt you may use for cooking, Dead Sea salt is incredibly hydrating. And, similar to Epsom salt, it is able to soothe sore muscles and calm inflammation that is often associated with both rheumatoid arthritis and fibromyalgia. Another key difference in my ucuuba butter salt scrub recipe lies with ucuuba butter’s hydrating properties. 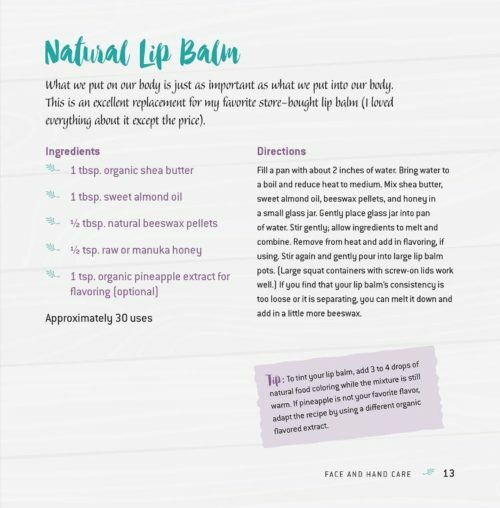 As ucuuba butter, along with the combination of the other natural ingredients included in this recipe, are such rich moisturizers, the oils and butters don’t fully rinse off in the shower. So, once you step out of the shower and towel off, remnants of these ingredients are left on your skin reducing, or eliminating, the need to apply an after shower moisturizer. Your skin will not only feel soft and smooth, it will also look healthier with each use. This homemade ucuuba butter salt scrub recipe has a rich natural fragrance that is lovely solo. However, if a fragrance oil is desired, this scrub pairs well with both Paris Fragrances sandalwood fragrance oil and their seasonal Halloween pumpkin fragrance oil. 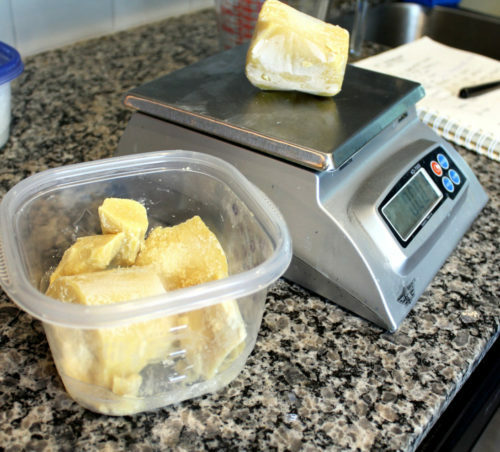 Begin by using a digital scale to weigh out the ucuuba butter, capuaca butter, andiroba oil and emulsifying wax. Gently heat in a double boiler until melted. While the butters, oil and wax are melting, weigh out the Dead Sea salt into a medium glass bowl. Then weigh out the fragrance oil, if desired. Mix the fragrance oil into the salt until the fragrance is evenly distributed throughout the salt. Once the butters, oil and wax have melted, remove from heat. Now weigh out and add the liquid Castile soap. Then add the salt mixture to the melted ingredients, mixing well to combine. You can use your homemade ucuuba butter salt scrub recipe in two ways. You can either massage the salt scrub onto damp skin in a warm shower. Or, you can add the desired amount of the scrub to warm, running bath water. Once you finish bathing, simply pat dry. For extremely dry skin, I recommend applying my bacuri butter body balm or my simple 3-ingredient bacuri body butter prior to getting dressed for an extra layer of skin protection and nourishment. Also be sure to try my natural bacuri butter & murumuru soap recipe! 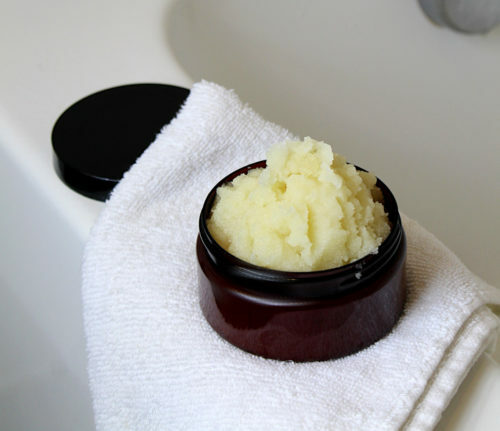 You can also make a travel worthy solid lotion bar to take with you on the go. Simply melt, combine and mold 2 oz. beeswax, 1.75 oz. ucuuba butter, 2 oz. capuaca butter and 3 oz. andiroba oil using ingredients from Paris Fragrances. 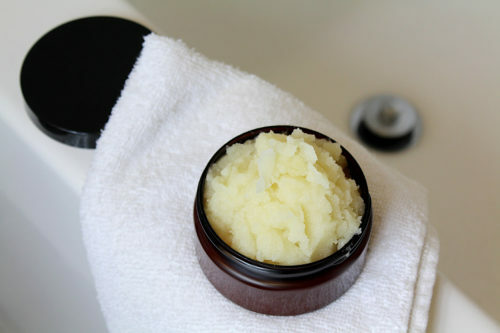 This natural anti-aging microdermabrasion scrub recipe contains a combination of five simple but powerful ingredients. These natural ingredients work together to exfoliate skin, remove dull surface cells and help diminish the appearance of fine lines, wrinkles and acne scars. 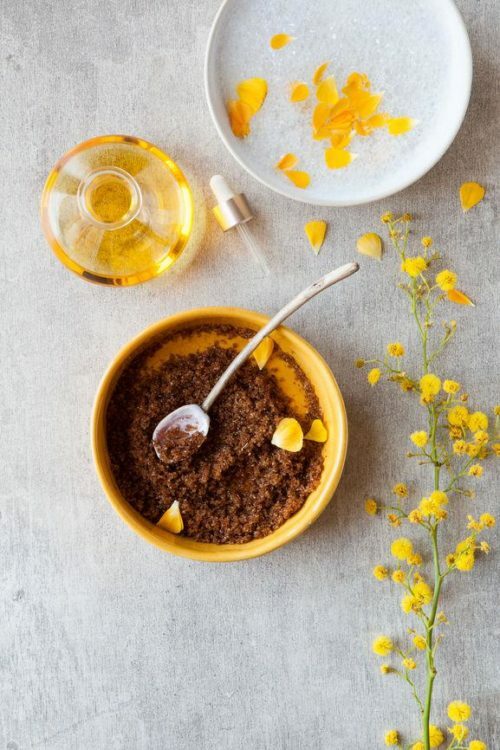 Keep reading to discover more about the unique ingredients that go into this amazing, natural anti-aging beauty solution that also doubles as a face mask. Plus save money by making your own alternative anti-aging beauty products with 17 more great anti-aging recipes. I’ve always looked much younger than my age. When I gave birth to my son at 21 it was assumed by strangers that I was a teenage mother. And back when I would sell handmade soaps at the local farmer’s market the other market vendors used to joke that my soap kept me young. I, of course, joked back that alcohol was a preservative. But either way, neither were true. A lot of how we age comes from our genetics. My mother, a spirited ginger, has always looked at least a decade younger than she really is. She’s also avoided cigarettes and drinking her entire life, her vice being her love of potatoes. Aging is a tricky thing. Not everyone ages at the same rate. Sun exposure and lifestyle can also influence aging. But regardless of both genetics and lifestyle choices no one escapes the ravages of time. While others don’t always notice the subtle changes happening to our own bodies, we are with ourselves everyday. So we catch those subtle nuances. The scars we’ve compiled over the years. Quickly duplicating laugh lines. The mysterious age spots that we still swear are freckles. (Prove they aren’t!) That slow emergence of a double chin. Skin tags in troubling places. In fact I found a new skin tag under my arm just yesterday! No one wants to age. Not really. And watching it in slow motion from month to month and year to year can be a hard pill to swallow. It’s no wonder that women (and men!) in their forties still struggle with self esteem issues. I certainly do. And when you compile unwanted changes to your body with weight gain, failed relationships, money issues, problems at work – some days you may not even recognize who you’ve become. While my self esteem has definitely taken a tumble lately, I’ve been seriously trying to come with terms with this aging thing. Not to mention that every year I look more and more like my mother did when she was my age. (Don’t you just hate that?) I’m hoping that as I work through perimenopause in my forties I also learn how to love my wrinkles. At the same time, is that really even possible? The global anti-aging market is expected to make $331.41 billion by 2021. (Source.) These anti-aging products currently target Baby Boomers, Generation X and Generation Y, with Baby Boomers and Gen-exers being the most cost effective market. We are spending an insane amount of money on anti-aging products as a result of our insecurities and faltering body image. Products like UV absorbers, anti-stretch mark products, anti-wrinkle creams and hair color, not to mention anti-pigmentation therapy, liposuction services, chemical peels, and hair restoration consume a large portion of our disposable income. And the more we age, the more we’re willing to spend to fight it. I admit, I am guilty AF at making these types of purchases. And while they are certainly a frivolous expense for any lower income household, Americans alone are spending over $11 billion a year on plastic surgery, dermatology, and cosmetology treatments in order to look younger. My go to anti-aging products include a microdermabrasion scrub, a retinol serum (which has helped considerably with scarring from multiple dog bites) and a hyaluronic acid cream. 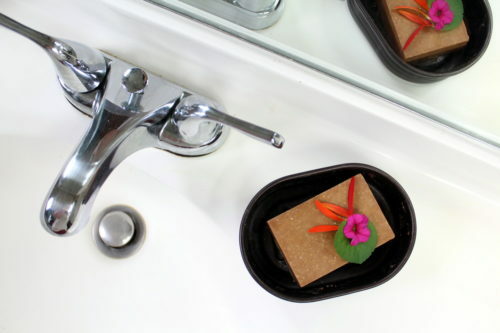 Because these products are so expensive, I often look for ways to save money on them. This includes, at times, making my own natural anti-aging products. Not only is it more cost effective over the course of a year to make my own DIY anti-aging beauty products, it also allows me to customize these products around my skin care needs. I can rarely afford to buy my favorite anti-aging microdermabrasion scrub. It’s price tag is too steep for my current budget for how quickly I fly through a container. While day creams or a retinol serum may last me two months, microdermabrasion scrubs tend to be gone in two weeks in my over zealous hands. However microdermabrasion scrubs do a great job at preventing and getting rid of my skin tags and textured facial skin. 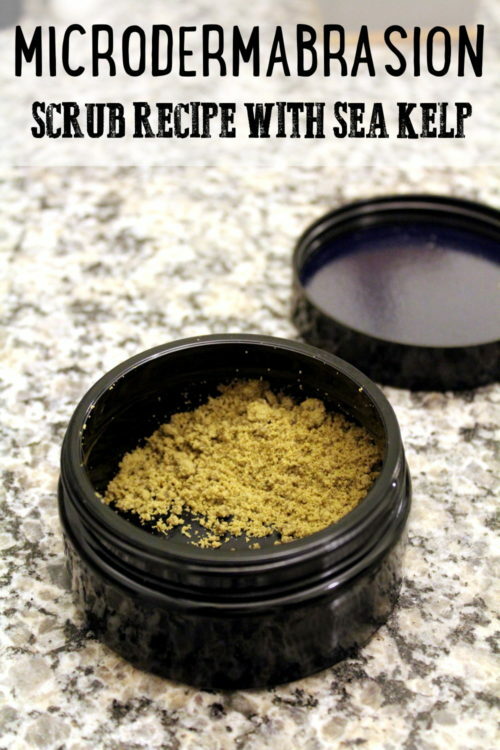 So rather than give up this product all together, I decided to create my own anti-aging microdermabrasion scrub recipe with nutrient rich sea kelp. 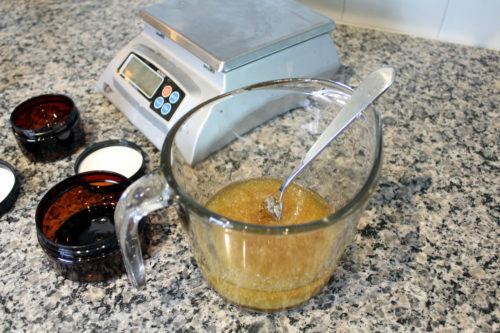 Purchasing the ingredients for this recipe allows me to create enough containers of anti-aging microdermabrasion scrub to last the entire year. So it costs considerably less per ounce. Simply make up a fresh batch when you finish off the old one. 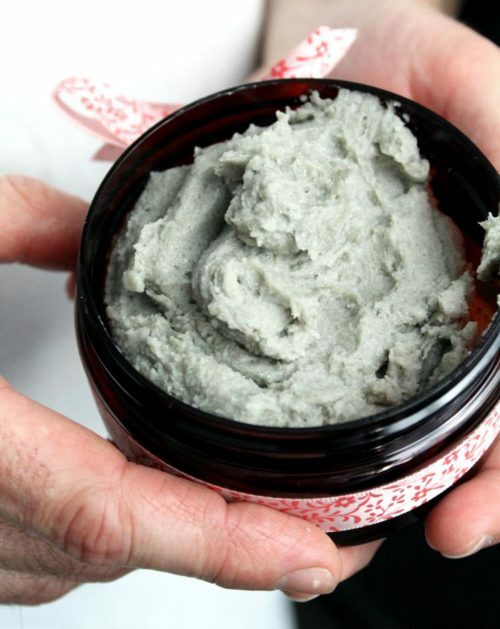 Formulated using bamboo extract powder (which is naturally rich in silica) and super fine pumice powder, this anti-aging microdermabrasion scrub recipe gently exfoliates facial skin. This helps to remove dull surface cells and diminish the appearance of fine lines, wrinkles and acne scars. The addition of sea kelp then helps to moisturize maturing skin while also calming inflammation. Effective at reducing outbreaks of both rosacea and acne, sea kelp is also rich in vitamins and trace minerals. When used topically for natural skin care applications, sea kelp acts as a firming agent and helps to promote healing. Finally, I rounded off my nutrient rich anti-aging microdermabrasion scrub recipe with the addition of cucumber seed oil and baobab oil. Both of these natural carrier oils offer anti-aging skin care benefits for maturing skin. They are equally moisturizing and both possess anti-inflammatory properties. Cucumber seed oil in particular is rich in phytosterols, tocopherols, tocotrienols, and fatty acids. It not only hydrates and nourishes maturing skin, but also promotes the reduction of wrinkles. It’s particular soothing for anyone suffering from eczema or psoriasis and is naturally rich in vitamins C and E.
Cold pressed cucumber seed oil is commonly used in skin care applications to detox pores, lighten age spots, reduce skin redness and irritation, prevent acne and to fight off those pro-aging free radicals that can cause premature aging. Baobab oil is also a wonderful anti-aging powerhouse. A naturally cleansing oil, this antioxidant rich carrier oil moisturizes dry or maturing skin, soothes irritation and promotes healing. It can also be used to help eliminate or reduce under eye bags, boost collagen production and reduce the appearance of scars while preserving skin elasticity. Following you’ll find my anti-aging microdermabrasion scrub recipe. 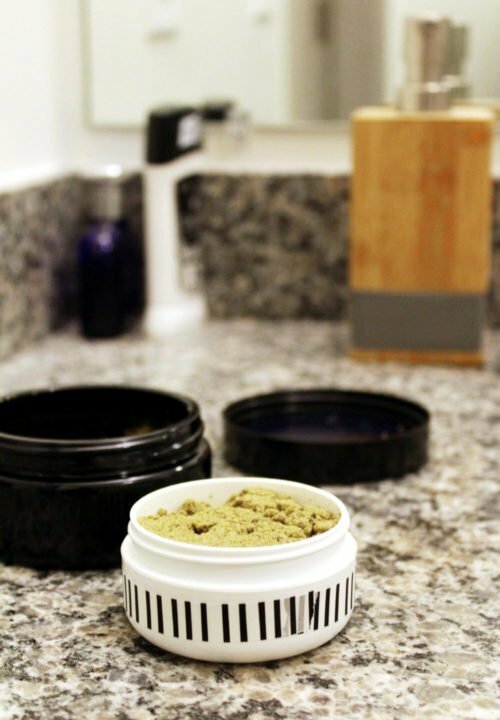 Use this natural anti-aging microdermabrasion scrub to cleanse and exfoliate your face. Then, leave it on for 5-10 minutes afterwards for a nutrient rich mask that hydrates skin and helps to prevent the recurrence of acne. 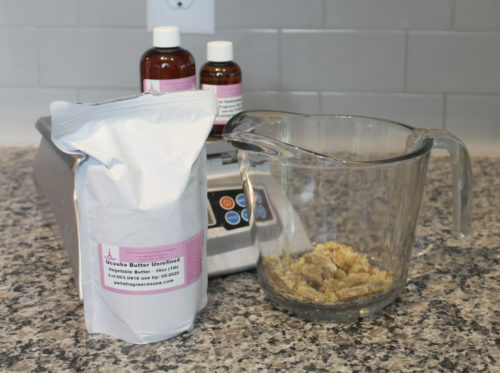 Also be sure to check out my other anti-aging beauty recipes further down that you can craft in addition to my anti-aging microdermabrasion scrub recipe! 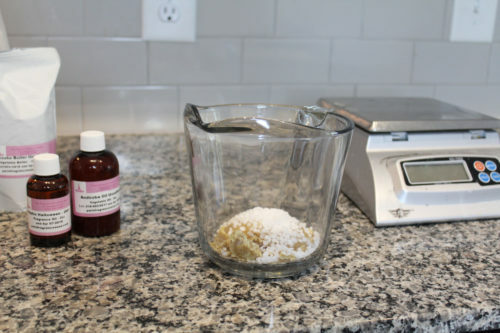 You will need a digital scale to weigh out the ingredients for my anti-aging microdermabrasion scrub recipes. I am partial to this bakers math scale which can also be used for making homemade soaps. Using a digital scale weigh out the pumice stone powder and bamboo extract. Combine in a medium glass bowl. 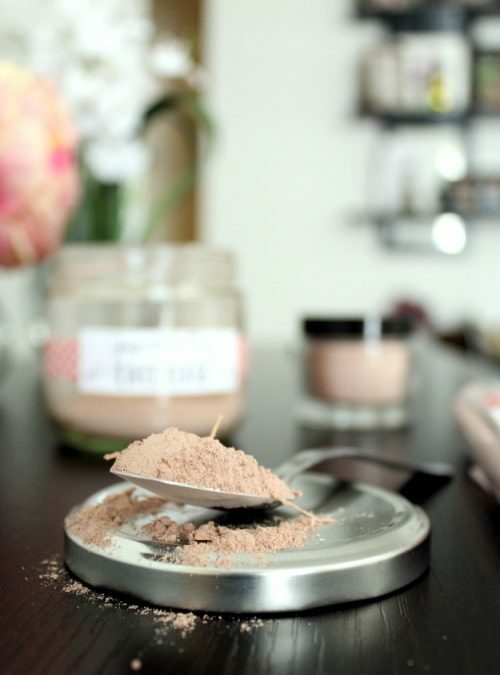 If you’d like to add a fruit powder for extra vitamin C, then measure out and add 1/8 teaspoon of cosmetic grade vitamin C powder. 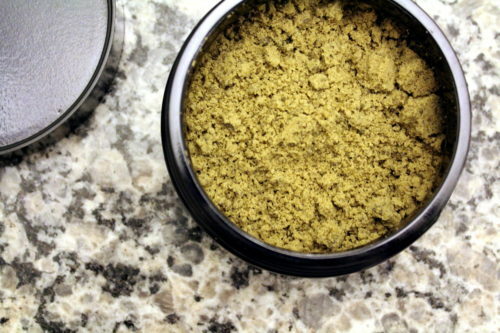 Thoroughly mix the dry ingredients to combine. Next weigh out the carrier oils into a separate container. If desired, add an essential oil of your choice. Now pour the dry ingredients into the liquid ingredients. Mix both the dry and liquid ingredients together with a fork until all the oils and powders are evenly distributed throughout. 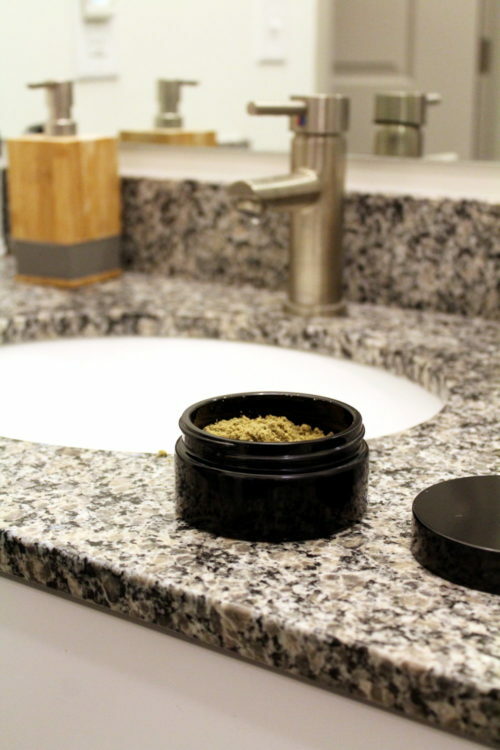 Transfer your anti-aging microdermabrasion scrub into a container of your choice. Your microdermabrasion scrub is now ready to use. 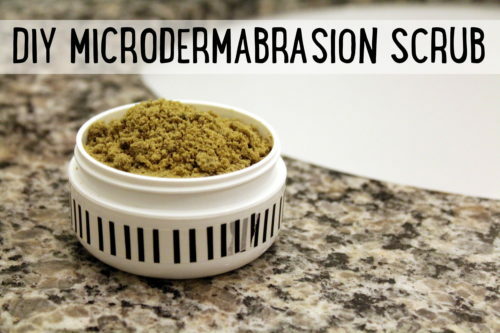 To use this natural microdermabrasion scrub, remove desired amount of product from the container. Mix the scrub with just enough water to form a paste, then massage in a circular motion on your face for one to two minutes. Then, if desired, leave the scrub on your face for five to ten minutes for a hydrating, oil balancing and toning facial mask. Once done, simply rinse off the product and pat your face dry. Follow with your favorite toner, anti-aging serum and day cream. If you’d like to explore more anti-aging skin care options, then I encourage you to try one or more of my other anti-aging skin care recipes. Or discover more natural anti-aging skin care recipes by following my boards on Pinterest. These boards may be of particular interest to you. Alternately you’ll also love these easy holistic beauty and skin care recipes that you can make at home. You can also shop from a collection of my favorite natural artisan makeup, beauty and skin care products. Keep up with the latest anti-aging skin care recipes from Soap Deli News! You can find and follow me on G+, Facebook, Twitter, Blog Lovin’, and Instagram. Or you can simply subscribe to Soap Deli News via email for future updates, DIY projects and recipes.